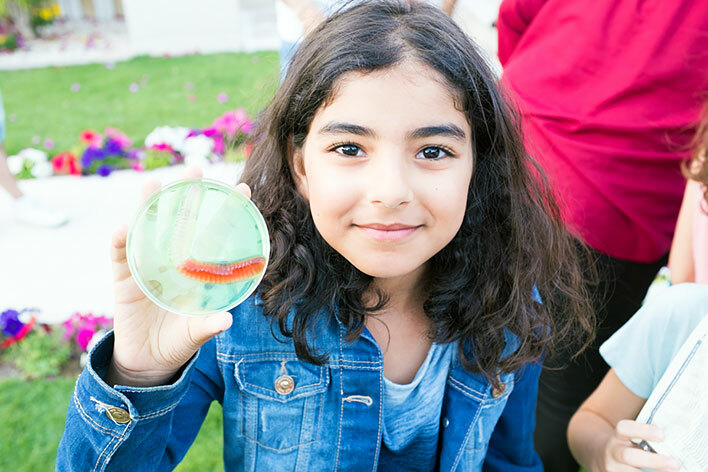 Kids Science birthday party ideas - Science parties Chicago High Touch High Tech! 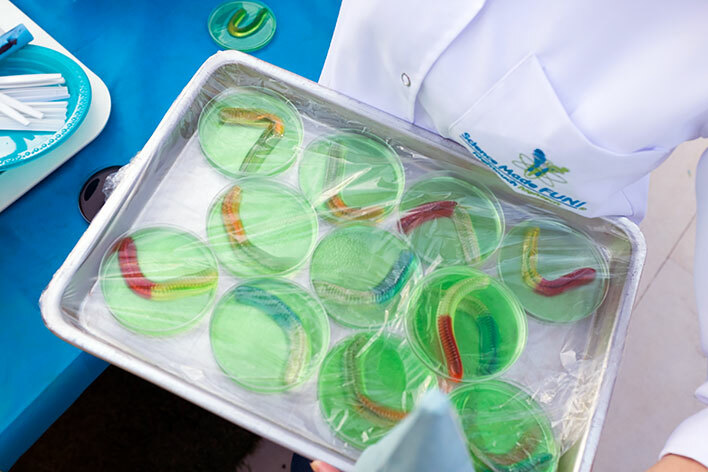 We've got science birthday parties down to a Science, hands -on, FUN Science! 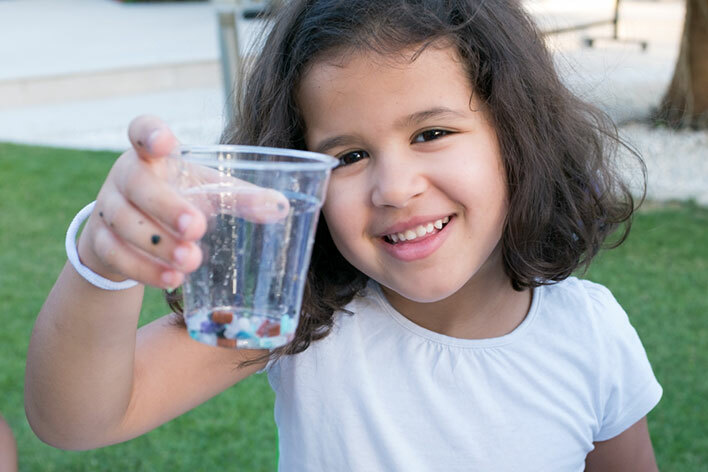 Designed for children ages 4 and older, High Touch High Tech provides Sizzlin' Science Birthday parties that are totally hands-on, and totally participatory FUN science experience for each and every child. Our parties combine the most exciting experiments for a safe, fun filled, fast paced sixty minute adventure. Each child becomes a Real Scientist performing REAL experiment! * Take - home experiments for each child. * Special science gift for the birthday child. Rest assured that the Scientist who hosts your party is a professional educator who works year round fueling the imagination of children in your local schools. High Touch High Tech is available to provide parties for all size groups and can cater our experiments and time based on your groups' needs. For Groups of 100+ , we have special discounted prices available. We service corporate parties, company picnics, holiday parties, receptions, after school programs, summer camps, as well as in - school field trips. The first experiment is a chemistry experiment and everyone makes Space Mud! Stretch it, bounce it, Keep it! The next experiment is ice Cube fishing - amazing! Followed by making Growing Crystals. The grand finale is Erupting Volcanoes - 2-3 foot eruptions are typical! Maximum number of 15 children per party. Fees apply for each additional child. Strike it rich! Step back in time to the days of the old prospectors. Pan for Gemstones...everything you find...you keep! Amethyst, quartz, calcite, peacock ore, fool's gold, shark teeth and more! In addition we make Space Mud, erupt Volcanoes and make Gummy Candies. A take home magnifying glass is included. Our most popular party! Maximum number of 15 children per party. Fees apply for each additional child. Put on your goggles and get ready to experiment with crazy chemical concoctions... Make Slime, Space Mud, and Super Growing Crystals. Finally explore a totally cool powder that absorbs up to 300 times its weight in water. Maximum number of 15 children per party. Fees apply for each additional child. Check out all kinds of really cool, really REAL, authentic fossils. Make your very own Tyrannosaurus Rex tooth fossil to KEEP! Erupt Volcanoes, Pan for Gemstones! A take home magnifying glass is included. Maximum number of 15 children per party. Fees apply for each additional child. Feel what it's like in space, as we become human gyroscopes. Make Alien Slime! Launch a Rocket! Explore Mars Sand ! Enjoy Astronaut freeze-dried Ice cream. Maximum number of 15 children per party. Fees apply for each additional child. ....Contents include: Magnifying glass, Test tube with solar bead, Magic ink or special bubbles, 3-D prism glasses, flying disc, finger traps and special HTHT pencil. High Touch High Tech is the Hands-on Science Experience that comes to YOU! We will bring all materials and equipment to your group. Reservations are required and must be accompanied by a $50.00 deposit to hold your spot. Call us Today at 630.227.4848 or simply fill out the reservation form on-line to schedule your next Party, Special Event or Science Night!